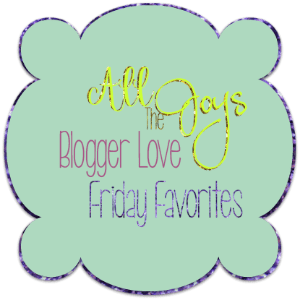 It’s Friday, and I’m excited to be joining in Blogger Love again! This week, I’m also going to participate in Dearest Love’s Coffee Date link up! 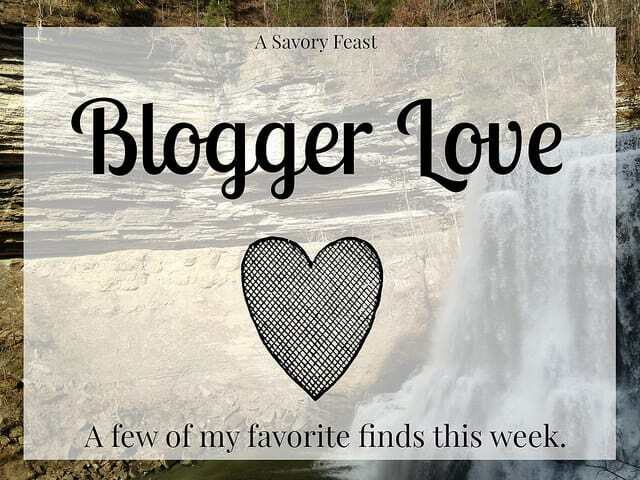 Keep reading to discover a few of my favorite posts this week and hear my highs and lows. 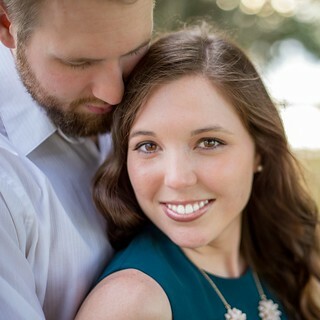 I had a guest post this week from Madison of The Wetherills Say I Do. She shared 3 Tips for Better Food Photography. I’ve learned a lot from her, so I was so excited for her to share this post! 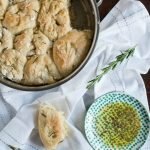 Rachel of Oh Simple Thoughts is starting a Cooking Fundamentals series! This week she talked about How to Stock Your Pantry. We discovered we have a lot in common when it comes to what we like to keep in the pantry! Her. Organized. Chaos. 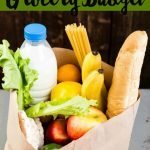 had a very practical approach to couponing with great tips! I found a new dessert to try making in my 6-inch skillets… Don’t these Skillet Brownies from Butter Basil and Bread Crumbs sound incredible?! This post about ice cream for lunch reminded me of my recent trip to Nashville. I already want to go back! 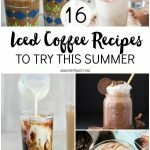 It’s been awhile since I participated in the Coffee Date link up! One of the things that my readers are always asking me for is more about me and my life. This link up is a great way to share! + My brother was in town for the week! I haven’t seen him since I went to Nashville in November. It was a lot of fun to spend time together this week. + Since both of my brothers were out of town for the holidays, we celebrated Christmas as a family on Sunday! Complete with presents and a turkey dinner. + Andrew discovered a new favorite restaurant and he took me there this week. If you are anywhere near St. Petersburg, Florida, you HAVE to try Engine No9. Best burger of my life! + I have had a lot of amazing opportunities and accomplishments with my blog lately. It’s been so much fun! + I’ve been feeling super tired this week from being busy and not sleeping great. + It has been HOT again in Florida. I’m hoping the cold weather will return again before the end of the season. It’s funny you want it to be cold. We’re all ready for the warmth! I guess the grass is always greener, right? 😉 Hope you have a great weekend! That’s true! We haven’t gotten much cold weather this year, so I’m hoping for a least a few cold days. But I am thankful we don’t deal with snow here! I love round-up posts! Thanks for sharing! You’re welcome! I hope you found some good reads today. I keep hoping! It’s supposed to be nice this weekend, though. Thanks Mandy! Just a little bit would be nice! I’m hoping we will get a few more cold days in February. I am so jealous of your hot weather! I’ll house swap you for a week in Denver. It’s been freezing and snowing for the last several days. My highs: I’ve been meeting my 5 days a week blogging schedule, have been eating healthy, and have finally figured out my work situation. My lows: My best friend had her baby 12 weeks early (both mom and baby are doing fine after an initial surgery for baby for an unforseen birth defect) and she and her husband suddenly moved in with us to be near the hospital with the NICU. 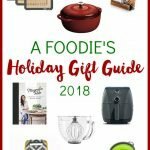 This threw any possible daily blogging schedule and meal plan I was going to have completely upside down as we now have double the mouths to feed with lots of dietary restrictions. So I’m totally behind after being well ahead. I also just found out we get to spend my husband’s bonus on replacing the exhaust piping for our furnace. Yay for being grown ups! Oh goodness! I would love to visit Denver, but I don’t think I could live there! Your highs are so awesome! I’ve been loving your posts this week. That is so nice of you to be helping your friend out. I hope her baby has a quick recovery! At least you have extra taste-testers for your recipes right now. Hot?? wow…so not here. It’s finally gone above freezing (a whopping 33 degrees!) for the first time in ages! That seems to be the consensus for everyone commenting on this post! Haha I guess I should be thankful to not be freezing! That’s really fun that you were able to celebrate Christmas with your brothers last week! I am already missing delicious Christmas food…turkey and ham…MM! So happy for you and your blogging accomplishments! That’s really exciting! Thanks so much for linking up again for the coffee date! Thank you! It was a lot of fun to extend the holiday season. It’s always sad for me when December 26 comes and the holidays are over. This year I still had something to look forward to! You had me at “skillet cookies”! I need those in my life. Thanks for linking up again – I hope you had a great weekend! Don’t they sound incredible?! It’s definitely my guilty pleasure. Thanks for hosting the link up!